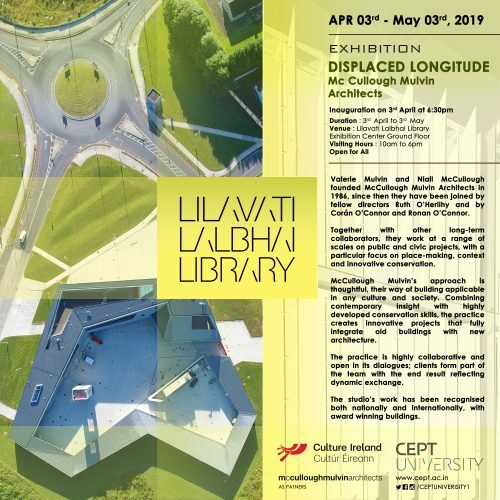 The Displaced Longitude exhibition travels to Ahmedabad next month for a show at the Lilavati Lalbhai Library in CEPT University. The exhibition will open on Wednesday 3rd April at 6:30pm, and is supported by Culture Ireland. Ruth O'Herlihy, along with Sonali Nandi from Designplus Associates, will also be giving a lecture on work at Thapar University as part of CEPT University Faculty of Architecture's lecture series "Straight Talk" on Thursday 4th April at 5pm.